MOSCOW - Dear mahjong lovers, Mahjong News is pleased to announce the start of the fifth season of our “Sherlock Holmes and Mahjong” mystery series. Just to remind everyone, this series has been published at Mahjong News in the years 2011, 2012, 2013 and 2015. This year readers will be challenged to solve ten mahjong mysteries. Participants' answers for these ten individual mysteries will be scored, and their combined scores will determine their final standings. Some mysteries will focus on findings from the "Green Book" rules for Chinese official competition style mahjong, and some will focus on tournament techniques. To submit your proposed solution, simply reply to the article as a guest. This is especially true if you are a registered author for this site, in order to prevent your solution from posting publicly. 1st Place will receive one year of Mahjong Collector Magazine, and two beautiful color-changing saki bottles. 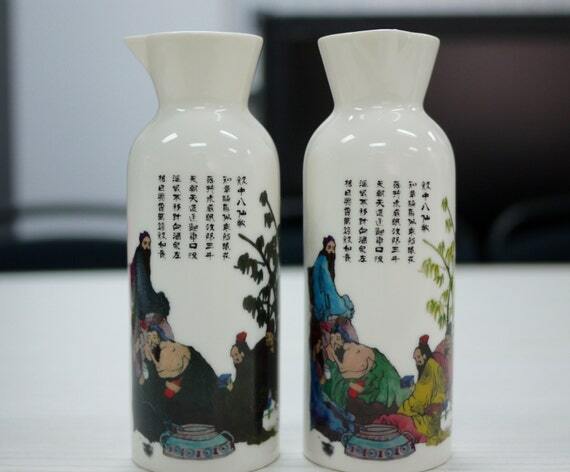 2nd Place will receive two beautiful color-changing saki bottles. 3rd place will receive a beautiful color-changing saki bottle. Prizes generously provided by the publishers of Mahjong Collector Magazine, and by Holiday Mahjong Online. The first mystery kicks off February 7th at zero-hundred hours UTC. Every new mystery will be published on each following Tuesday at 00:00:00 UTC for ten consecutive weeks. Players will have six days (until midnight UTC each Sunday) to submit their proposed solutions to each new mystery as it appears. Players who submit their answers quickly (within three days) will receive an extra bonus for being quick. Solutions to each puzzle will be posted on the Wednesday following the conclusion of its respective puzzle. For speedy submissions (within three days, regardless whether it is correct or not), the participant will receive a bonus SH point ( ). Final ranking ties between players will be resolved using the timing of their first tying correct solution. Best of luck to everyone, and may the best sleuth win!